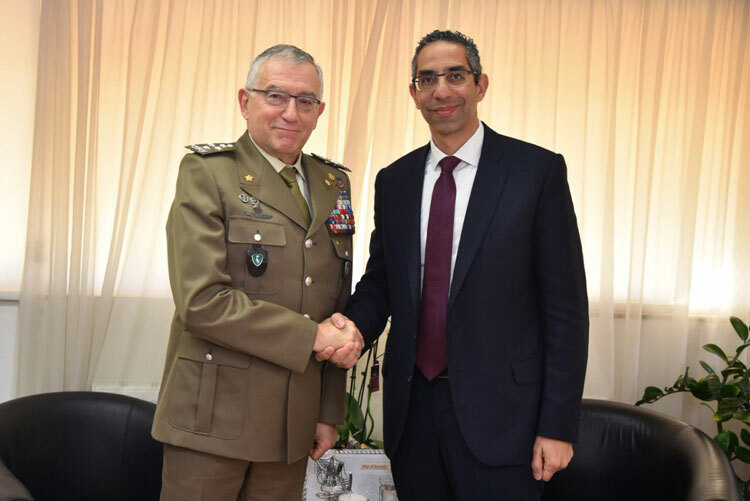 The Chairman of the European Union Military Committee (EUMC), General Claudio GRAZIANO, paid an official visit to Cyprus on 10th and 11th of January 2019. 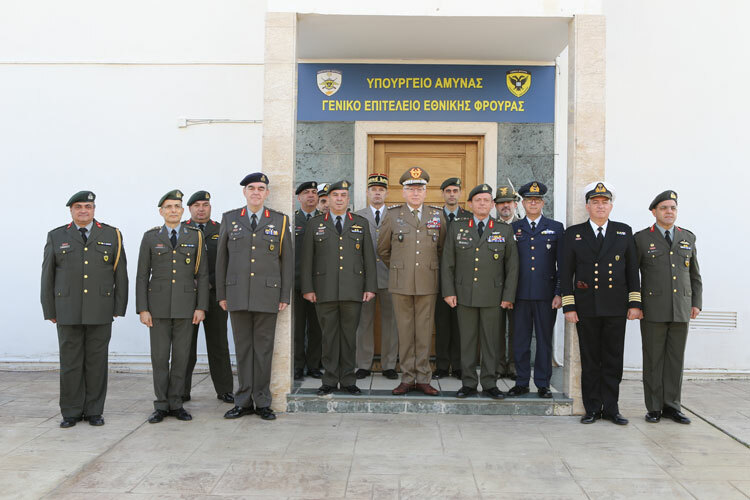 General GRAZIANO, was welcomed by the Chief of the National Guard of the Republic of Cyprus Lieutenant General Ilias Leontaris, at the National Guard General Staff Headquarters, where they had the opportunity to discuss and exchange views of regional, European and wider interests. "We had a very frank and constructive discussion – stated the Chairman immediately after the meeting speaking with the Press- and we covered a number of important issues." 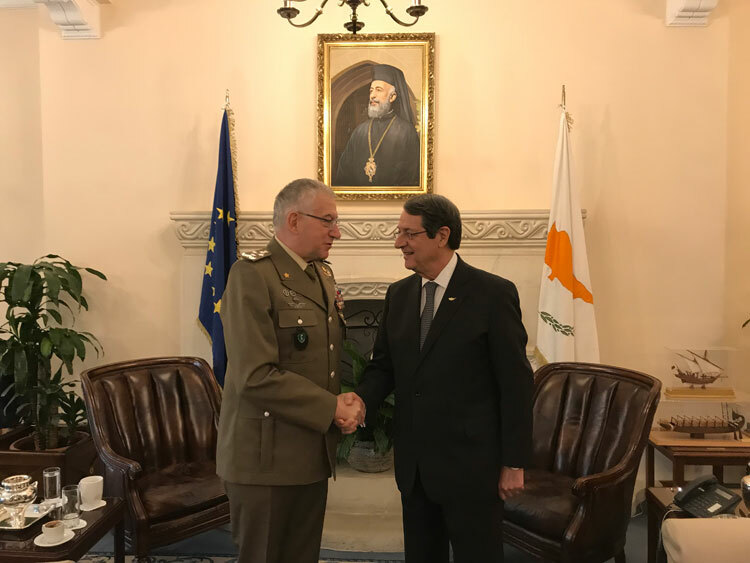 “Cyprus has consistently provided high quality contributions to EU operations – General Graziano stated - I have personally met Cypriots officers in the field and I can testify to their professionalism”, he added. 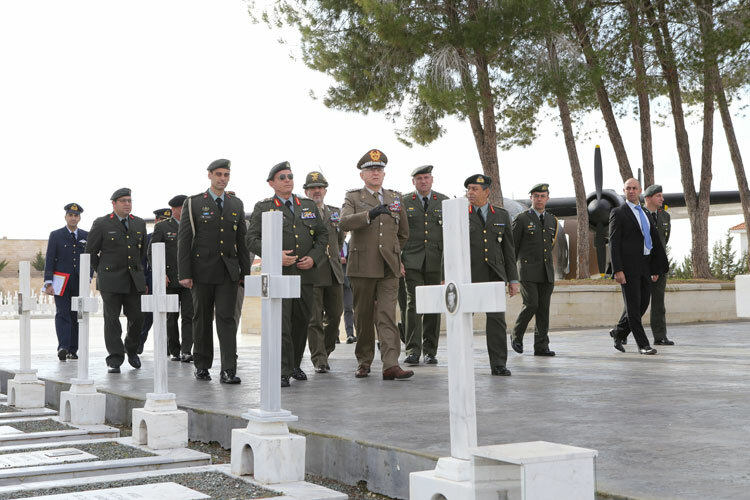 General Graziano also highlighted that Cyprus is a very active member of the European Union and a solid partner and pillar of stability at the South Eastern corner of Europe. "I am conscious of the challenges Cyprus is facing with regards to migration, in particular as a consequence of the conflict in Syria and the proximity to the Middle East." pointed out the Chairman, “migration is clearly one of the most important topics on the European agenda, but we are all aware of the difficulties in finding common views”, he concluded. Special emphasis was similarly given to the Common Security and Defence Policy. In particular, the High European official said that the implementation of the EU Global Strategy on Foreign and Security Policy will shape the cooperation among the members state for some time to come. During the official visit General GRAZIANO met also with Minister of Defence Mr Savvas Angelidis and with HE the President of the Republic of Cyprus Mr Nicos Anastasiades with whom he agreed on the necessity for the member stare to find the best way to deal with the common challenges to the European security. 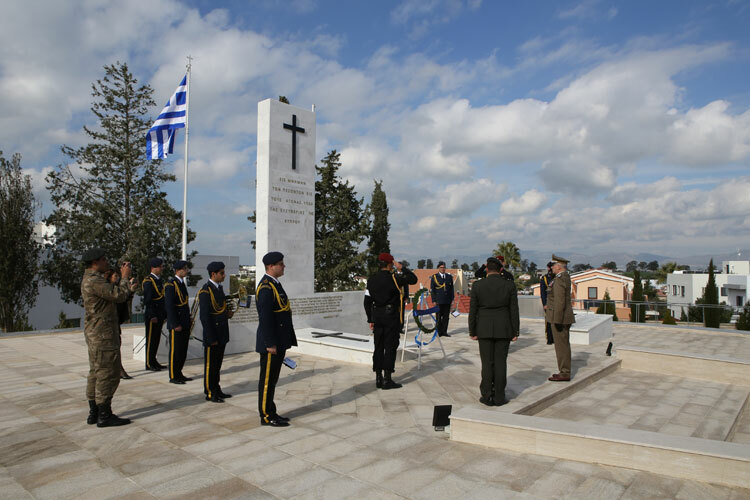 General GRAZIANO concluded his visit by laying a wreath at the monument of Makedonitissa’s Military Cemetery and with a brief at the Observatory in Lidras street.